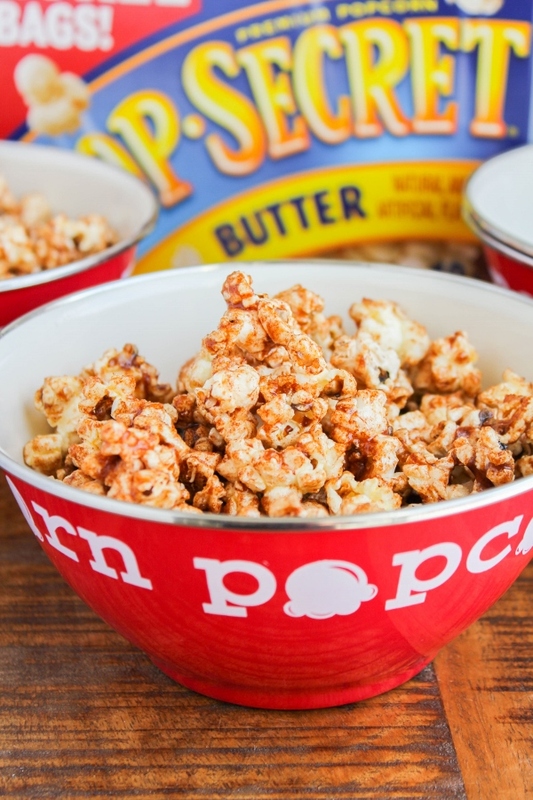 This Sweet and Spicy Popcorn recipe is a delicious and addictive snack! 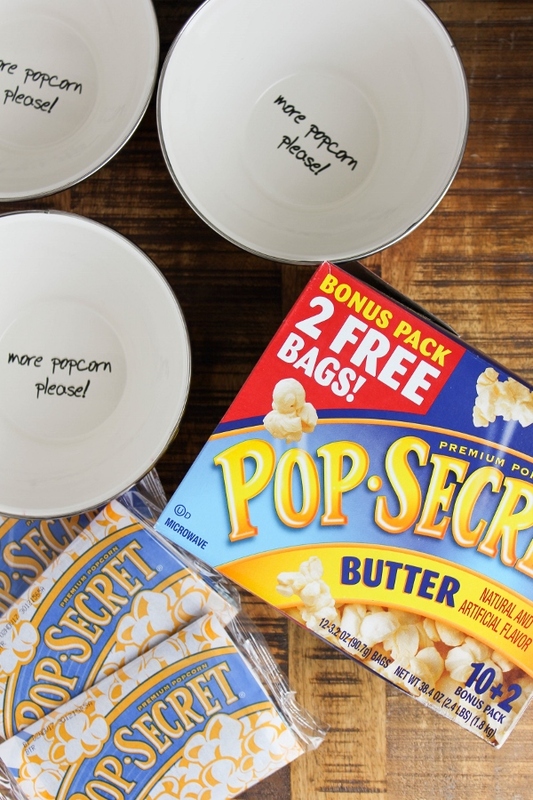 It couldn't be easier to make, and is perfect for movie and game nights with the family! Whether we're watching a TV show together or watching a movie I always make snacks. By far, popcorn is my absolute favorite treat. I love popcorn. I mean I really, really love popcorn. 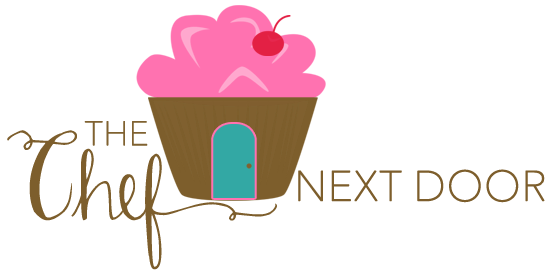 Ask my kids, they think I'm a popcorn addict! For awhile there, I was eating it almost every single night for my evening snack while we watched TV or hung out together. They thought I needed an intervention HAHA! I always have bags of Pop Secret Microwave Popcorn stashed away. 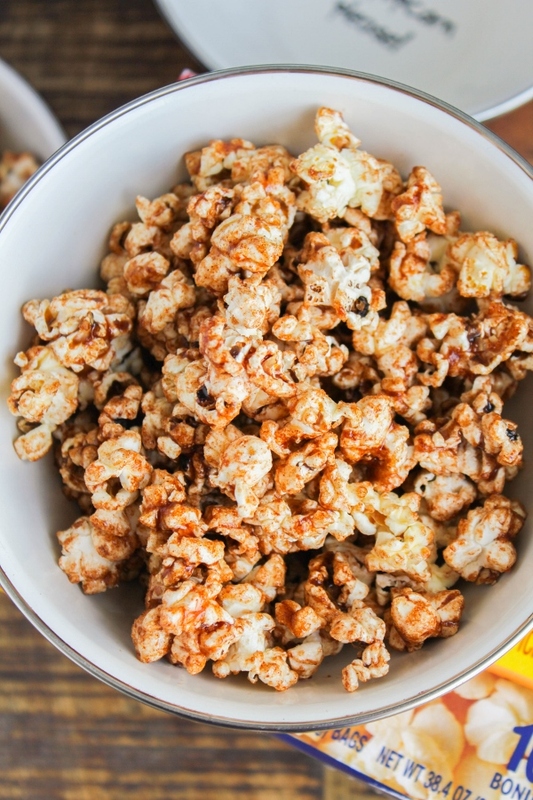 Although I love good ole' buttered popcorn, sometimes it's fun to change things up and add a little somethin' somethin' to drizzle over the top and give it an extra kick. 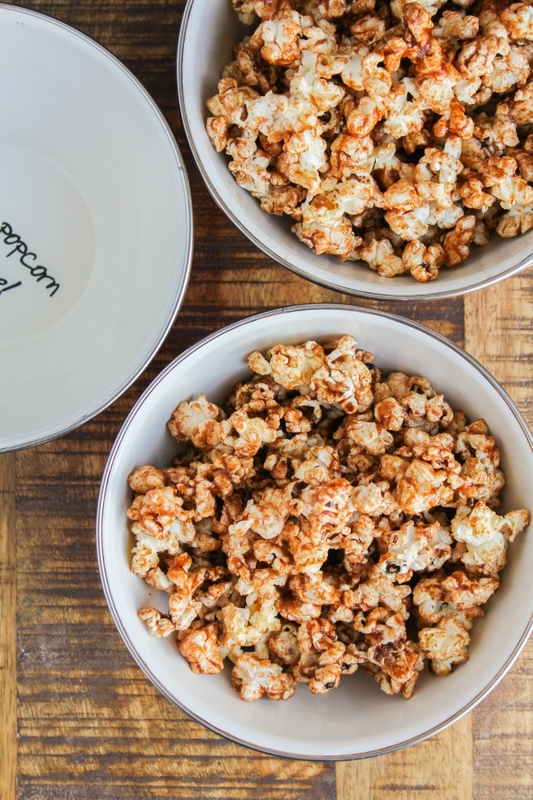 My simple recipe for Sweet and Spicy Popcorn definitely hits the spot! My kids love it too. So going back to the topic of video games...one game that both of my boys love to play is Assassin's Creed. I never played it myself, but I spent many a night sitting on the floor watching them play and learning the story line. 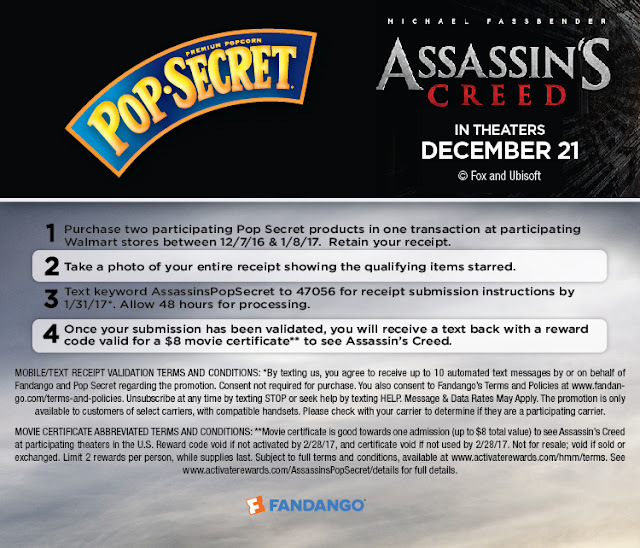 When I saw the first preview for the Assassin's Creed movie, I totally freaked out! I'm a huge fan of Michael Fassbender and am thrilled that he's playing the main character, Callum Lynch. My boys and I already have plans to see the movie as soon as it hits theaters on December 21st. I always pick up my Pop Secret Popcorn at my local Walmart Store, and they've got a great deal going on for the new movie! Buy 2 Pop-Secret 10 ct or 10+2 ct bonus packs at Walmart between 12/7/16 - 1/8/17 and get an $8 credit toward a ticket to the Assassin’s Creed movie while supplies last! How awesome is that? Get all the details below. 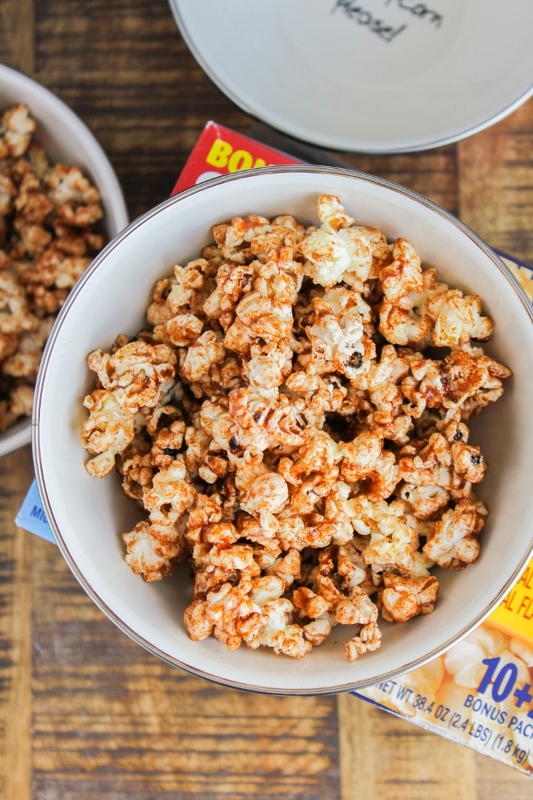 Do you have a favorite recipe or mix-in for your popcorn? Share with me in the comments below! Combine the butter, brown sugar, cinnamon, salt, and chipotle powder in a small saucepan over medium-high heat. Cook, stirring often, until the butter melts and the mixture is smooth, about 5 minutes. Pour the popcorn into a large bowl. Quickly pour the butter mixture over the popcorn and use a rubber spatula to evenly coat the popcorn. Allow it to cool for just a couple of minutes before serving.